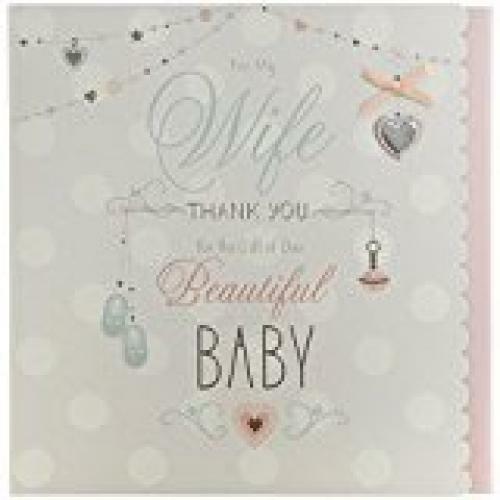 A gorgeous card to give to your wife to celebrate the birth of your baby. The message inside reads "I'm so lucky to have you and our precious family... THANK YOU- for the love we share, for our wonderful new baby.... and for making me the proudest dad in the world. With All My Love."